You know when you're cooking and you realize if only you had this one gadget it would make things a lot easier? Well I feel like that has happened to me multiple times over the past few months. 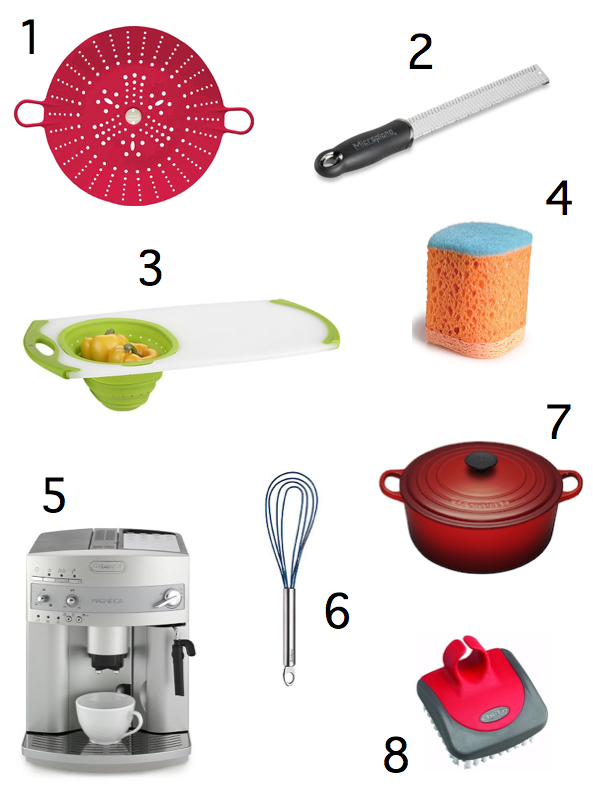 I finally decided to make a list of the kitchen tools I found myself wishing I had over and over again. Some of them I really should just go buy, because they're so cheap and I know I would use them all the time. If only I had thought of these things before I made my wedding registry! What kitchen gadgets are you lusting over? I have a silicon veggie steamer and it is great!! I now want the muffin pan sponge and vegetable brush! :D Thanks for sharing! wait, they make muffin pan sponges? that's the most ingenious thing I've ever heard of.